I was born on the island of Newfoundland which is basically one big rock trying to avoid icebergs in the North Atlantic at the eastern most tip of Canada. I have been everything from a bonded messenger to a postal worker to a clerk to a life insurance salesman. I have also been a policy writer, a speechwriter, an editor, an associate publisher and a ghost writer. I have been a freelance writer for what seems like forever. My articles and essays have appeared in newspapers, magazines and online across Canada as well as in the United States and New Zealand. 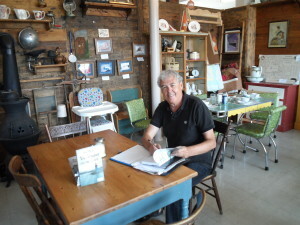 I am the author of a self-help book: Change the Things You Can: Dealing with Difficult People and I have written a number of short stories that have been published in various publications including Canadian Stories and Downhome magazine. Now I write fiction, the Sgt. Windflower Mystery Series. It is a traditional mystery series, close to but not really a cozy mystery, and almost a police procedural, except that I do not know enough about policing to write that way. So I write about Sgt. 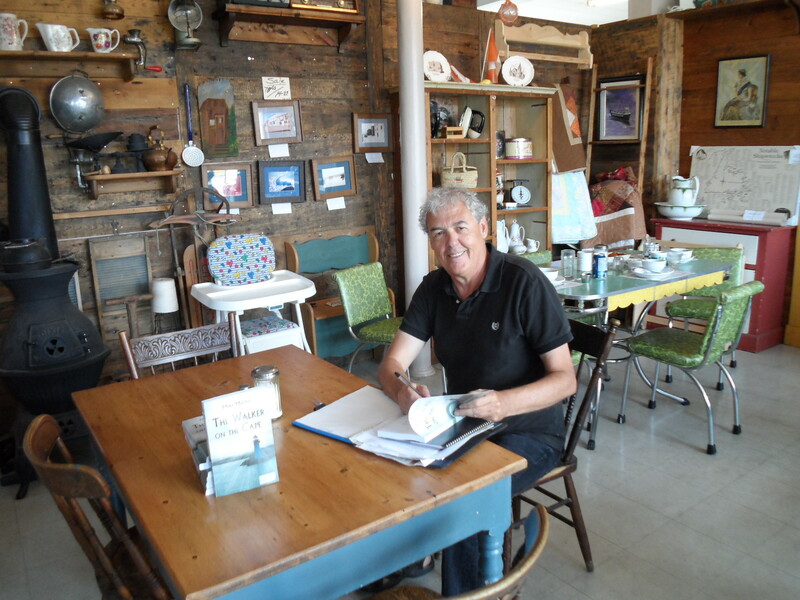 Windflower’s adventures in discovering and enjoying the food and culture of small town Newfoundland. 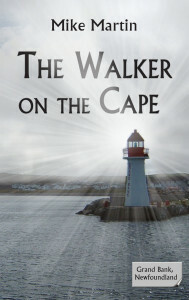 The Walker on the Cape was the premiere of the series. It was published by Baico Publishing of Ottawa in 2012. 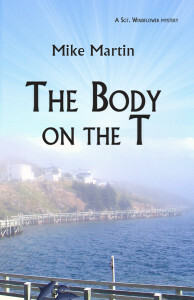 The second book in the series, The Body on the T was released on May 1, 2013. 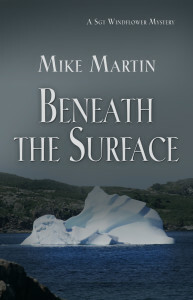 The third book in the series, Beneath the Surface, is just coming out now. All the books are available in Canada at Chapters/Indigo stores and all over the world through Amazon.com. I grew up with three older sisters, two of whom were teachers, so I learned to read, a lot, early on. I always had an active imagination. That didn’t help me a lot in the structured family and school days. In fact it regularly contributed to my being in trouble. Nothing too serious. That would come later. I wasn’t encouraged to write. I wasn’t really encouraged to do much of anything, except to stay out of the way and to stay out of trouble. Reading was my kind of refuge from what I saw as the storm around me. I liked it and stayed with it all of my life. Writing didn’t come easy or naturally to me. I had it inside of me. I just couldn’t get it out. In high school I was a bit of a loner and felt really out of place. Drugs and alcohol changed that in university but then I was just a drunk and stoned loner. It wasn’t until the drugs faded in my late 20’s that my creativity started to pop out and I began writing a few little ditties and stories for parties. Somehow I found myself in a series of jobs where people actually thought I could write. I kept hoping that they wouldn’t find out the truth and fire me. I liked writing, a lot and soon it became my new refuge from the world. I went through various phases as a part-time writer, policy writer, speech writer into finally taking the leap in my forties to primarily a freelance social policy writer. That didn’t pay a lot so I ended up selling my creative soul to a series of marketers, search engine optimizers and keyword racketeers. Fortunately my soul stayed intact long enough for me to finally get to fiction writing. Thank God!! Who knows what the future holds. I’m pretty sure that my future contains at least one more Sgt. Windflower adventure. I hope you’ll join me. Mike Martin is the author of the Sgt. Windflower Mystery series set in small communities on the southeast coast of Newfoundland. The latest book A Twist of Fortune is available in Canada through Chapters/Indigo/Coles and select independent bookstores.